Ebbe Weiss-Weingart (b. 1923) is one of the pioneers of international studio jewellery. For over seventy years she has enriched the contemporary jewellery scene with her diverse works. Her inception in the 1950s and 1960s with structured surfaces and galvanised sculptured pieces will never be forgotten. Alongside figurative motifs – here, in particular, portrayals of humans and animals – she also created pieces with an ironic and quirky touch. In her last phase of creativity, which began in the 1990s, she had a penchant for working with jewellery made from Chinese jade reliefs. 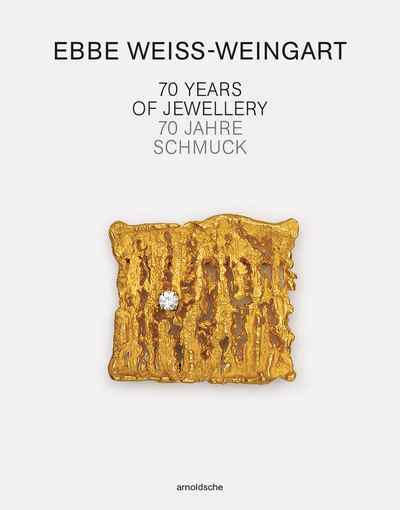 Around 200 illustrations of jewellery objects and previously unpublished photographic material document the award-winning work of Ebbe Weiss-Weingart and expand on her hitherto unknown accomplishments.